so thanks for all the concern & encouragement last week. y'all don't know how much i appreciated it and how much it made my heart smile to know that complete strangers are praying for me and sending me truth & encouragement. update: everything is better. i'm not as hormonal. my shop picked up (finally). 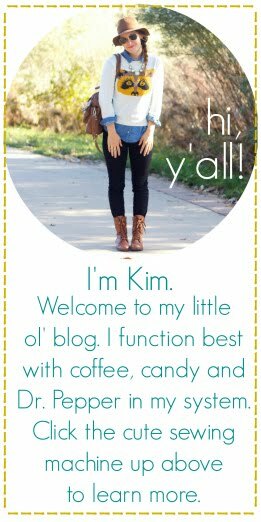 i have lots of things to look forward to (like a complete blog overhaul! gasp.) i gained perspective. i gave up trying to not cry and just let it all out. spent some quality time with some wonderful women in my life. basically....the funk is kicked. boom. i don't have anything else to say or show you today. off to make a mother's day gift and a few dresses! hey, girl! i appreciated your honesty in last week's post. sometimes we all have days like that. i'm glad to hear that you are having a better day today. 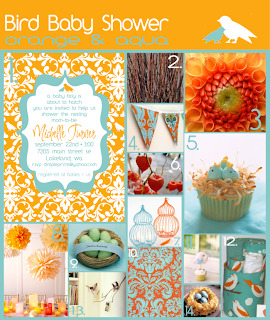 :) btw, yes - i am loving the color combo in these baby shower theme. 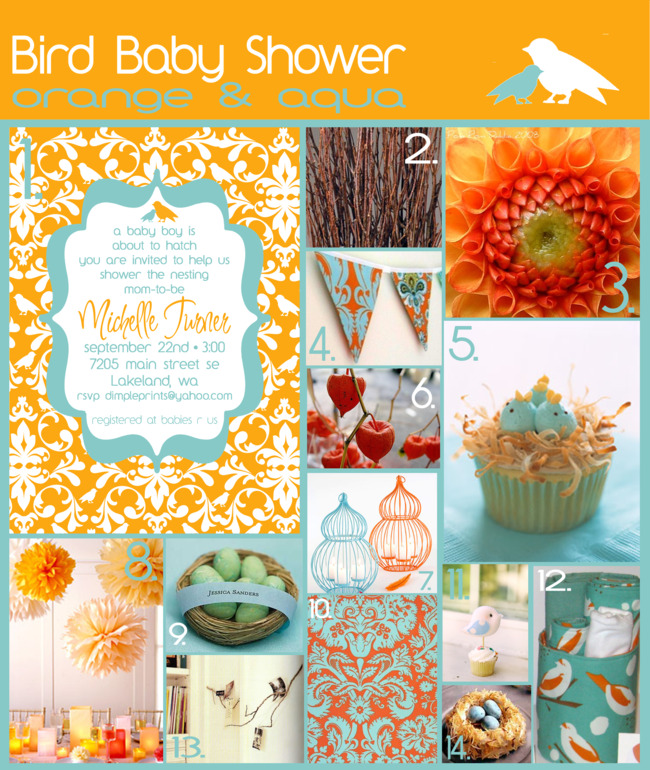 orange and teal is the best! I LOVE the orange and aqua combo! I of course I love aqua with anything!